As temple closed, BJP ended its 49-day-long relay hunger strike staged, demanding lift of prohibitory orders, which govt rejected. 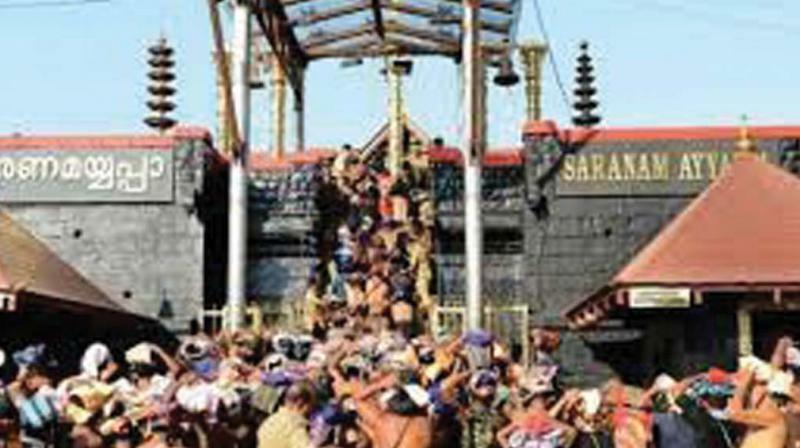 Sabarimala: After witnessing unprecedented protests over the entry of women of menstruating age, the Lord Ayyappa temple in Sabarimala was closed on Sunday marking the culmination of the over two-month-long stormy annual pilgrimage season. While Chief Minister Pinarayi Vijayan on Sunday lashed out at the Sangh Parivar and said their Sabarimala stir was a "complete failure", BJP state president PS Sreedharan Pillai claimed the agitations were aimed at protecting the traditional faith of devotees and it had won in garnering mass support. After the customary ''bhasmabhishekam'', the portals of the shrine were closed with the singing of ''Harivarasanam''. The temple witnessed the first round of protests during the monthly ''Thulamasa'' pooja when it was opened for five days in October. The Sabarimala Karma Samiti held an event ''Ayyappa Jyothi'' (lighting of sacred lamp) on December 26, to protest against the government''s decision, which the LDF government countered by organising a 620-km-long "women''s wall" across the state. This led to widespread violence across the state and the Samiti, with the support of BJP, called for a shutdown on January 3.